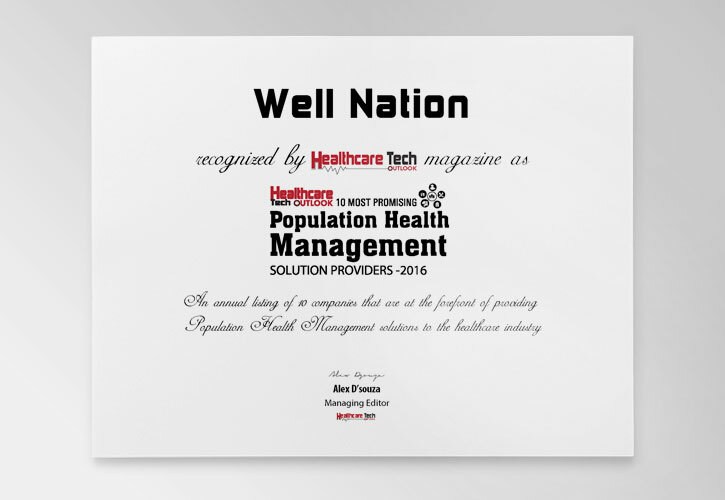 FREMONT, CA—January 13, 2016— HealthCare Tech Outlook announced today that Well Nation Ltd has been selected as one of HealthCare Tech Outlook’s 10 Most Promising Population Health Management Solution Providers. 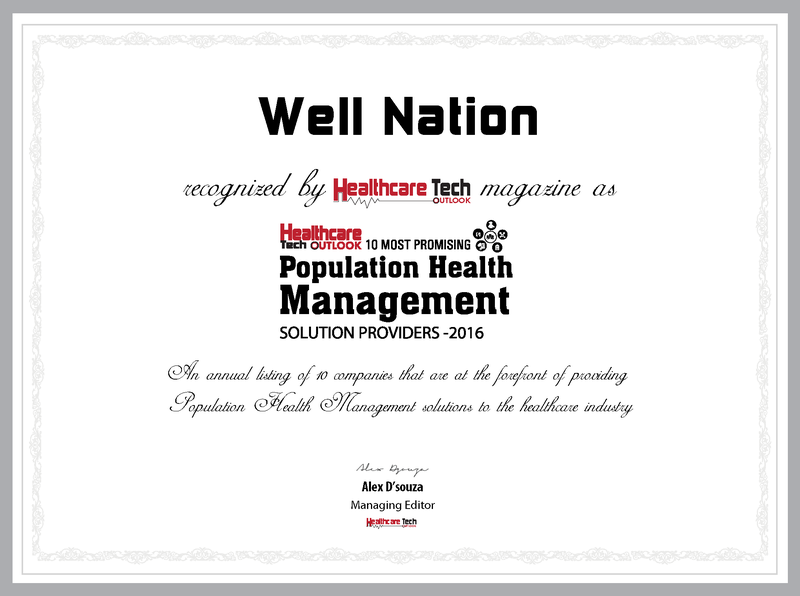 The annual list showcases the 10 Most Promising Population Health Management Solution Providers Nationwide. The annual list of companies is selected by a panel of experts and members of HealthCare Tech Outlook’s editorial board to recognize and promote Technology entrepreneurship. HealthCare Tech Outlook is happy to showcase Well Nation this year due to their continuing excellence in delivering innovative technology solutions in the population health management industry. Well Nation has been selected after being evaluated across more than a dozen quantitative and qualitative elements. Experts have made the decision by taking into consideration, company’s experience, industry recognition, technological capabilities, market presence and positive client reviews. “We are honored to have been selected for this award. 2015 was a good year for us with new releases in the areas of mobile connectivity, device integration, real time data access and reporting, as well as a newly launched eCoaching program” stated Patrick Trotter CEO. Well Nation is an innovative online wellness program designed to manage behaviorally driven health risks among employee populations. Well Nation is dedicated to helping businesses create healthier and happier workplaces; while providing a measureable ROI. Well Nation® embraces technology to provide a wellness solution that is powerful, comprehensive, affordable, and easy to use.